The ruling coalition is yet to decide on a formula for jointly contesting the parliamentary elections. MPs Mohamed Ameeth and Abdulla Ahmed joined the Jumhooree Party on Monday night as a political realignment continues ahead of parliamentary elections in March. 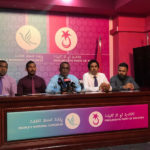 The second largest party in the ruling coalition has now added nine MPs since former president Abdulla Yameen’s election defeat and the repeal of an anti-defection law that triggered disqualification of lawmakers who resign or get expelled from their party. MPs Ilham Ahmed, Hussain Mohamed Latheef and Hussain Areef signed last week, followed by MPs Mohamed Hussain and Azhan Fahmy on Sunday night. MPs Ahmed Mubeen and Ahmed Rasheed Ibrahim defected from the former ruling party earlier this month. 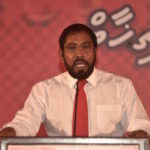 Of the nine, MPs Mubeen, Ilham, Areef, Mohamed Hussain and Abdulla were elected on JP tickets in 2014 before switching to the Progressive Party of Maldives after the JP left the former ruling coalition. MPs Ahmed Rasheed Ibrahim ‘Qari,’ Hussain Mohamed Latheef, Azhan Fahmy and Ameeth were elected on PPM tickets. 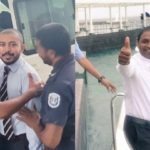 MPs Ilham, Ameeth and Abdulla Ahmed were among a dozen lawmakers who were reinstated last month after more than a year out of parliament. 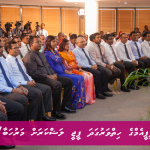 They were deemed to have lost their seats when they defected from the PPM in July last year. 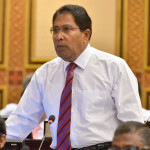 At Monday night’s signing ceremony with JP leader Gasim Ibrahim, MP Abdulla Ahmed said he was previously forced to leave the JP to secure development projects for his Thinadhoo constituency, a justification echoed by other former PPM lawmakers. Now in the minority as the main opposition party, the PPM retains more than 30 MPs in the 85-member People’s Majlis but their allegiances are uncertain. Several have voted with the ruling coalition since September’s presidential election. After losing five MPs – including President Ibrahim Mohamed Solih and four lawmakers who resigned to join his cabinet – the Maldivian Democratic Party also welcomed two lawmakers to its diminished ranks. MP Mohamed Musthafa, who was elected on an MDP ticket, rejoined the party on Sunday, following the signing of MP Mohamed Abdulla ‘Muhamma’ last week. 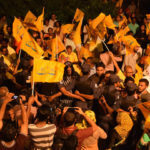 Both former PPM MPs – who were among the dozen unseated defectors – have declared their intention of contesting in primaries to secure the MDP ticket. The JP is expected to award tickets to its new recruits without a primary. However, it is unclear if they would be seeking re-election with the backing of the coalition. The four-party coalition remains undecided on a formula for jointly contesting the 2019 parliamentary elections. At a meeting of the MDP’s national council last week, there was broad support for the largest party in the coalition to field candidates for all 87 constituencies. Following talks with coalition partners this week, the MDP is due to make an announcement on Friday. Interested candidates have been invited to submit applications on December 7 to contest in primaries.